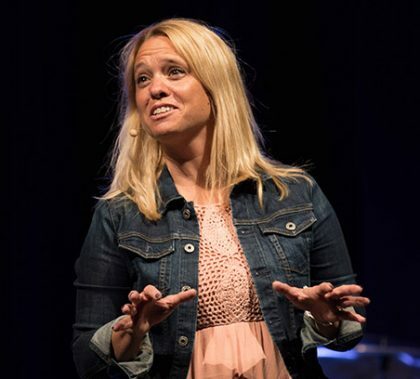 Talks by Beth Guckenberger of Back2Back Ministries have become annual highlights at Chapel, and Guckenberger left her audience both laughing and crying Monday with a succession of stories about her work with orphans. Her message is both down to earth and in a different world. 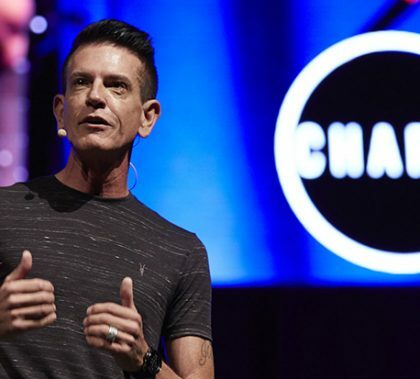 Being happy and content can be tricky, Terry Crist of Hillsong Church Phoenix told Chapel on Monday. But true contentment doesn’t require sacrificing our ambitions, Crist said. The answer is simply to trust God. 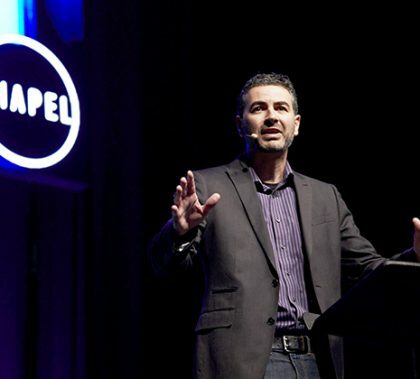 Advancements in science and technology can be great, Alan Shlemon of Stand to Reason told Chapel on Monday, but killing human beings in the name of progress must never be tolerated by Christians. 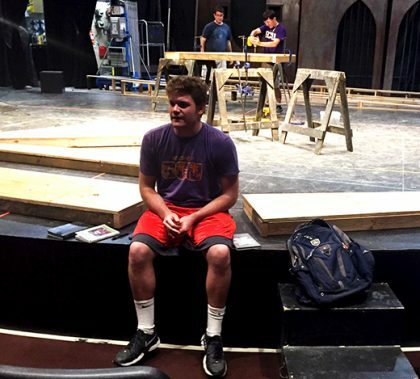 “We are witnessing the death of the idea that human beings are special in some significant way and that they are valuable and that we should care for them,” Shlemon said. 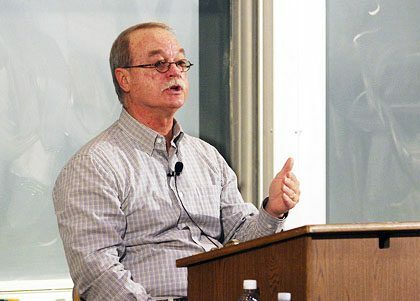 Dr. J.P. Moreland, considered one of the top 50 living philosophers in the world, has been one of the most prominent and popular speakers to be invited to campus, and his two talks Wednesday drew large crowds. The talks were part of the One Foundation series. 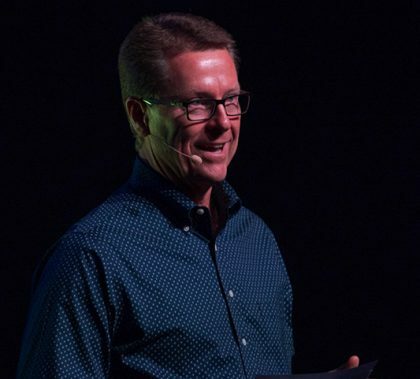 The Chapel message Monday morning took listeners on what can be a bumpy ride for a lot of people — the path toward healthy relationships. 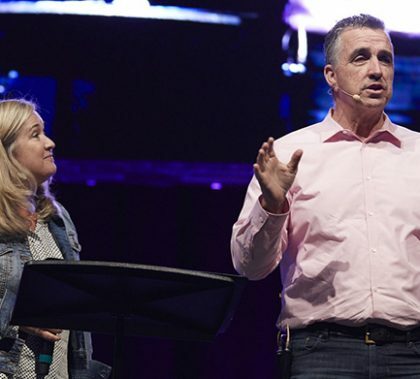 Don and Renee Worcester of Young Life broke down where we go wrong and how God can make it go right. Dr. Timothy Clarey of the Institute for Creation Research says the truth is in the rocks and the scientific data. 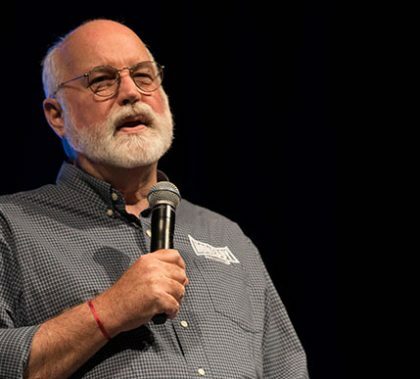 The truth for him is that the great flood mentioned in the Bible did happen, dinosaurs were on Noah’s Ark, and the Earth is thousands of years old, not millions — assertions questioned by audience members at his GCU talk Friday. 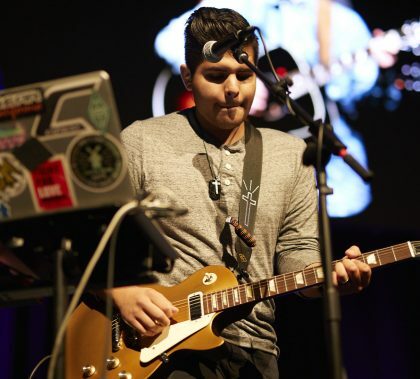 Photos by Travis Neely GCU News Bureau Monday morning Chapel at Grand Canyon University featured another stirring performance by the Chapel Worship Band; announcements by Dr. Tim Griffin, Pastor and Dean of Students; and a passionate talk by Warren Stewart Jr. of Church of the Remnant.